When life gave Jane pointy teeth, she decided to make the most of them. In this 15,000-word novella, Jane takes you with her on one of her jobs and goes through the harrowing tale of how she fell in love and lost more than just her life. This is the first part of a series of novellas.The novellas are not stand-alone and should be read in sequence, as each one builds upon the last. Books 2-4 are available in a bundle at half price. 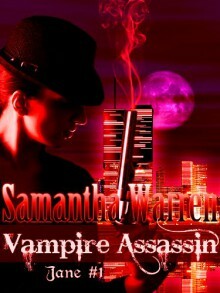 Look for Jane (Vampire Assassin Series) on Amazon.